Jersey City, NJ (Feb 8th, 2007) — Comodo, a global Certification Authority and leading provider of Identity and Trust Assurance (ITA) Management solutions, announced today that Brinkster, (brinkster.com), one of the world's largest web host solution providers has selected Comodo to power its security solution offerings for its current and growing customer base. 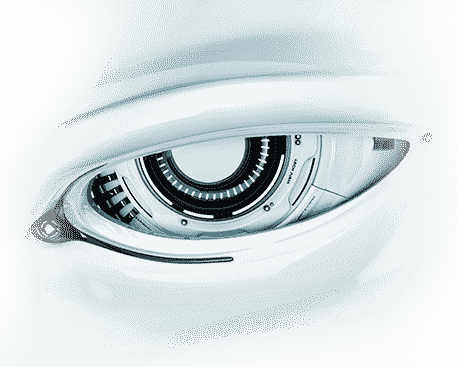 Brinkster will be offering Comodo's ITA Suite, including a full range SSL Certificates, the new EV SSL Certificates, HackerGuardian Vulnerability Management solutions, email security solutions and desktop security solutions. Brinkster customers will realize the benefits of advanced technological security, helping them establish trust during online transactions. 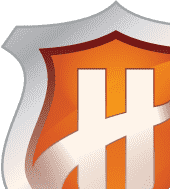 Brinkster, founded in August of 1999 as a resource site for developers, quickly grew into a top choice for web hosting in the United States, Europe, and in over 175 countries worldwide. With this announcement, Brinkster will be able to provide its customers with a highly integrated and synergistic set of solutions that cover SSL security requirements, server vulnerability management needs, secure email and desktop security solutions including the award winning free Comodo Firewall Pro. In addition, Brinkster will now be able to provide a web-based interface for complete customer account management. "Given public concerns about online fraud, we understand that our customers need best-in-class trust solutions to help them succeed in their e-commerce business," said Ben Chambers, Vice President of Marketing at Brinkster. "We chose Comodo because we wanted to partner with a company that is aware of the rapid changes in our industry spurred by competition and can deliver solutions that will keep us ahead of the curve." Brinkster will be offering the following core elements of Comodo's ITA solution. High assurance SSL Certificates from Comodo provide Brinkster customers with encryption certification and authentication of business identity. In addition, Brinkster will be able to offer the new EV SSL certificates that comply with Microsoft's new security features in IE7. These new EV SSL certificates provide site visitors with a green visual indicator in the address bar confirming the authenticity of the site. An important component of a well-architected ITA suite is the utilization of site seals to provide visitor reassurance. 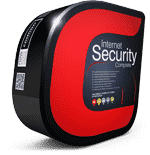 Comodo delivers an advanced, patent-pending seal called the Corner of TrustLogo (CoT). These exclusive TrustLogos, issued with any Comodo high assurance SSL Certificate, have a unique "point to verify" call to action that allows site authentication to occur during the actual transaction. This TrustLogo provides customers with a competitive advantage by eliminating the need to verify a site's authenticity using off site clicking. HackerGuardian provides full vulnerability management certification and solutions including PCI compliancy, daily vulnerability scanning and certification services, and network vulnerability management solutions. Email certificates will be offered free to Brinkster customers. These certificates are used to digitally sign and encrypt sensitive communications, providing additional layers of security so that personal information remains protected. 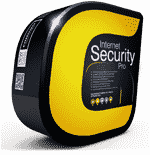 Comodo Firewall Pro - Award-winning firewall proven best in key performance leak and termination efficacy tests. For a firewall to be effective, it must both prevent applications from getting "out" (a.k.a. 'leaking out" to execute the malicious activity) and resist being terminated by fraudster applications. In recent independent tests performed by Matousec.com, Comodo outperformed virtually all other firewalls - free or paid - in both areas. "Brinkster's selection of Comodo as its partner to provide a unified approach to identity and trust assurance for online businesses is part of Comodo's long-term strategy to provide the most innovative and deep portfolio in enabling online commerce," said James Langman, Vice President of Business Development at Comodo. "We are delighted to be able to offer such a leading edge company the type of solutions that are scalable for any size e-commerce business while delivering real business benefits - to our partner and their customers." The suite of solutions that Comodo is delivering to Brinkster provides best-in-class security yet is fast, easy and cost-effective to implement. Established in 1999, Brinkster Communications Corporation is a privately held web hosting company. With customers in over 175 different countries around the world, Brinkster offers web hosting solutions that cater to individuals, small to medium sized businesses, and web developers. For more information, please contact press@brinkster.com, or visit our web site at brinkster.com. Comodo helps enterprises address digital e-commerce and infrastructure needs with reliable, third generation solutions that improve customer relationships, enhance customer trust and create efficiencies across digital e-commerce operations. Comodo's solutions include integrated Web hosting management solutions, infrastructure services, digital e-commerce services, digital certification, identity assurance, customer privacy and vulnerability management solutions. For additional information on Comodo - Creating Trust Online™ - please visit: Comodogroup.com.